Since it’s officially my blogoversary, let’s re-visit an oldie but goodie Friday’s Foto Fun. Heck, maybe we’ll revisit one or two or three…. Remember this one from Noodledog? And my Pharrell look when my favorite song, Happy, came out? 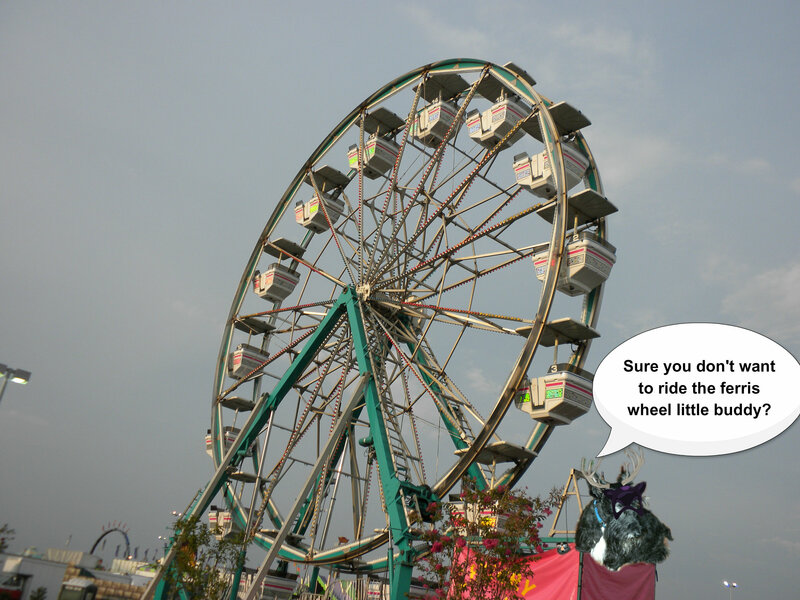 And who can forget when Bashful came to visit me and I took him to the State Fair? But, let us enjoy this day by laughing at Sniglet, my next door gal pal, who was one of the first. Now y’all get out there and have a good Friday. K? 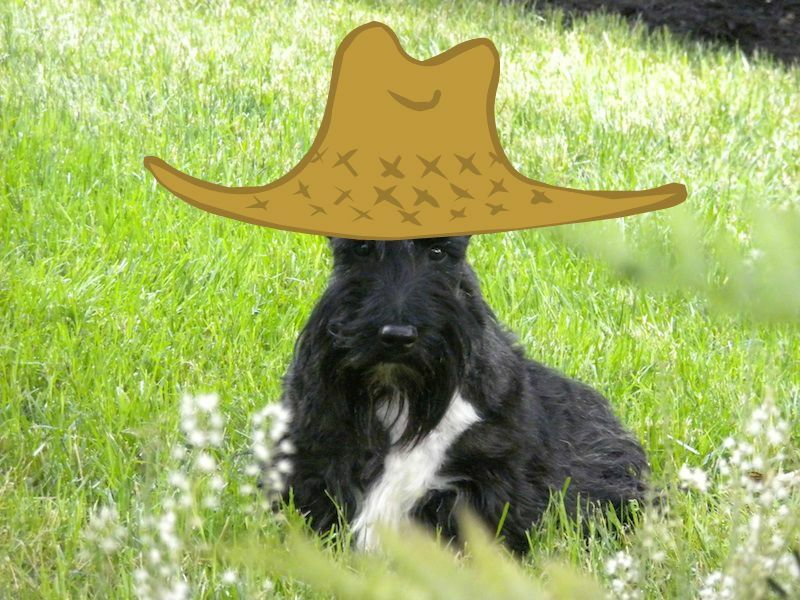 And, hey, if you want to be featured on a Friday’s Foto Fun, email a photo to me at StuartTheScottie@hotmail.com. And if you’ve submitted a pic, don’t worry, I’ll get around to posting it my furiends. ArOOOOO! 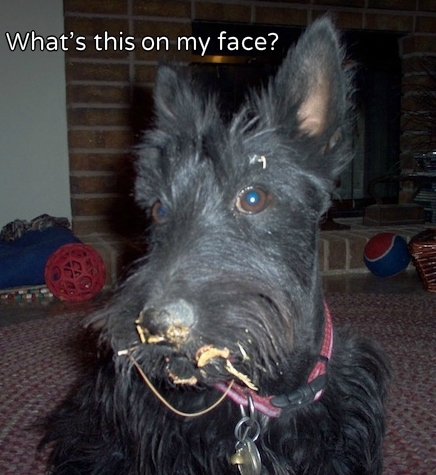 This entry was posted in The Scottie Chronicles and tagged animals, dogs, funny dog pictures, pets, photography, Scotties, Scottish Terriers. Bookmark the permalink. Noodledog e-mails me from time to time and Noodledog’s peep is a really terrific person. 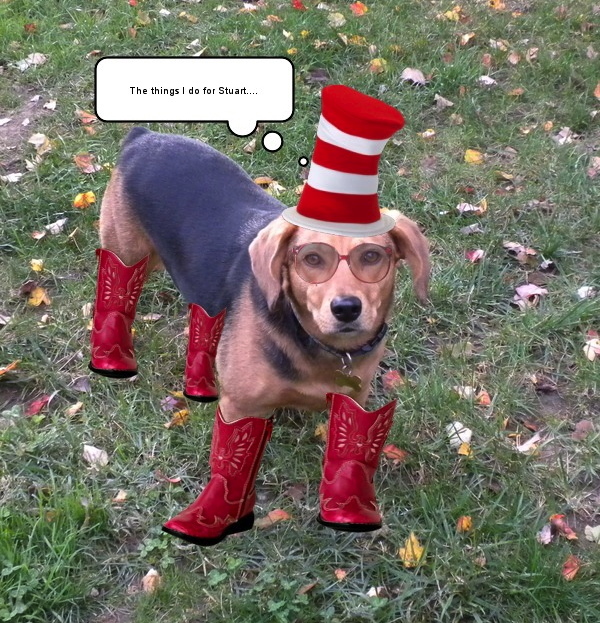 OMD – Singlet’s cowgirl/Dr Seuss is howlarious! Great pics! We refuse to laugh AT Sniglet. We’ll laugh WITH her anytime. Happy Bloggy Day! Earlier today I had little pieces of grass stuck to my tummy, mom brushed them out. HAPPY BLOGOVERSARY STUART- We love seeing some of our favorite pictures. Here’s to many more years of health and happiness. Keep Writing! You’re the best pals! ArOOOOO! Great pictures! We think that’s spaghetti on your face in the first picture. Dat was fun, Stu! We like to reminisce! 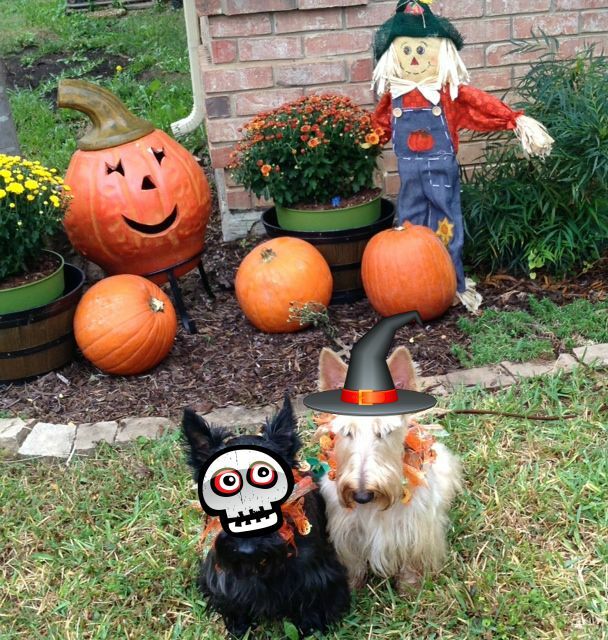 We love all of da pictures specially the Howloween ones, ‘cuz we love Howloween! Happy Blogoversary and MANY happy returns! Thanks for da memories, Stu! Hey Stuart! It’s Braeden and Seth! We have been off the grid for a while, but we came to catch up. We were so surprised to see our halloweenie picture! That was the day Seth tried to make a run for it. We hope you are feeling better after your toothie thingy!